Bring your Tile & Grout back to NEW condition! 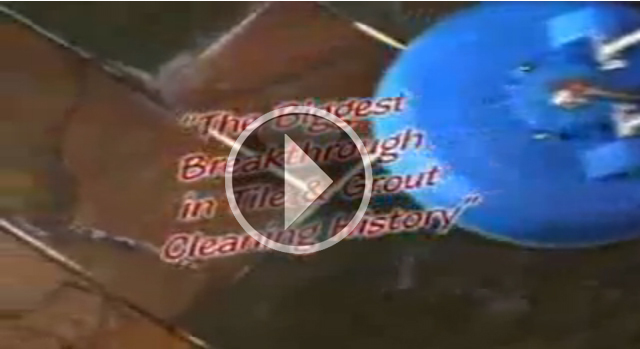 Speed Clean Services Grout Cleaning Services will bring new life to your existing tile floors. Our Tile Cleaning Services and Grout Cleaning Service uses unique equipment that will safely remove built up dirt and grime restoring your tile and grout surfaces to like new condition, saving you time and money. Ceramic tile is one of the least cared for flooring surfaces, primarily due to the time and care required to cleaning it. No one wants to scrub each grout line on your hands and knees for hours with a small brush using chemicals that are harsh on your hands and potentially toxic to your pets and children. Speed Clean Services environmentally friendly method of cleaning and sealing tile and grout will greatly enhance the appearance of your floors while creating an invisible "barrier" making future cleaning a breeze. Speed Clean Services uses a 4 step process to revitalize your floor surfaces. This process not only restores your floors to their original beauty, it also guards your grout when sealed from staining and discoloring. STEP 1 A non-toxic cleaning solution is applied to the tile and grout lines and allowed to dwell for 20 minutes. The solution is then worked into the pores to loosen embedded dirt, grease, oils and other contaminants. STEP 2 Using our 220 degrees of water and up to 1200 pounds of water pressure per square inch we thoroughly steam away, rinse and extract the dirt, oils and pollutant laden water out of the pores of the grout and tile into our truck's recovery tank. This clean and efficient process is all fluid controlled so there is no over-spray of water or cleaning solution. STEP 3 Next we dry the floor surfaces using a high speed turbo air mover which takes between 10 -30 minutes. We are then able to inspect the floor to see the true condition of the grout and can tell at this point if there is any permanent staining or discoloration. • 2. 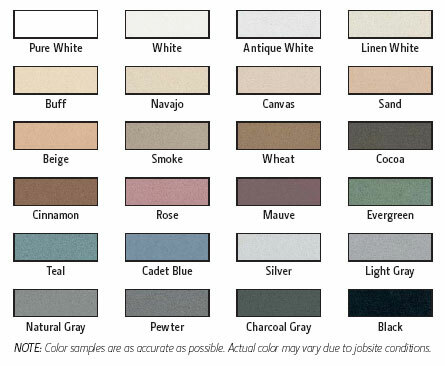 GROUT RE-COLORING: If the results did not meet your expectations and there is a considerable amount of staining and discoloration, we can recolor the grout to the color of your choice. Reason #1: It would require a return trip to the job sight, 3 days or longer from the installation date. This is often difficult for busy contractors. Reason #2: They would incur additional man-hours as well as the material costs associated with the cleaning and sealing the newly installed tile and grout. This problem is seen in about 90% of new tile installations. Without properly sealing the tile and grout, dirt and debris will build up in the pores of the grout. Routine maintenance, such as mopping, cannot properly remove dirt from the grout. In most cases, mopping simply forces the dirt into the grout lines where it accumulates over time and can actually promote the growth of bacteria. One of the biggest threats to tile surfaces is toxic mold. Mold develops when moisture builds up and heat and moisture are allowed to fester causing mildew. Mildew continues to develop into mold. Hiring a professional tile & grout cleaning company to properly evaluate and maintain your tile situation is a great first step towards keeping your tile looking beautiful for a long time to come. Speed Clean Services has trained and experienced cleaning professionals that will tackle your tile and grout maintenance needs. Why You Need to Seal Your Grout? Besides its decorative aspects, grout serves other, more functional purposes. One important job of the grout lines is to give water a place to accumulate versus sitting on top of the tile surface. This helps address the slippery nature of most tile surfaces. In addition to the water, dirt and debris also find their way into the grout. By sealing the pores, the water still has a place to go while dirt and debris are kept out. This drastically reduces the time and effort required during routine maintenance and helps keep the grout looking like it did when it was new. We want to serve you for a lifetime and we want you to be 100% satisfied with the job. You deserve the best... Speed Clean Services Best! Call us for a free estimate on your tile cleaning job today! Serving the Metro Detroit, MI Area including Oakland, Macomb, and Wayne Counties. • Buffed and sealed to maintain that "new tile look"
• 1. In residential applications depending on foot traffic and pets, the floors should be professionally maintained at least once per year to revitalize the floor surfaces and grout lines at a substantial discount. • 2. In commercial applications depending on foot traffic and conditions, the floors should be professionally maintained at least quarterly to revitalize the floor surfaces and grout lines at a substantial discount. You will be 100% satisfied with our quality workmanship and services, or Speed Clean Services will return and clean to your satisfaction. We will arrive on time on the specified day. If for some reason any damage to floors or fixtures are sustained as a result of our cleaning methods or procedures it will be repaired at no charge and at your earliest convenience. We will be responsible for moving furniture ( some restriction apply in residential applications) out of the way where possible, and for returning them to their original location. When we are completed you can expect everything to be orderly. Floors that are sealed require 2 to 3 hours drying in the grout lines.